Opening Tap happens June 1st for Philadelphia Beer Week. It’s an awesome 10 day event of the best beer drinking city in America. As one of Philadelphia’s key annual tourism events, people come from all over the country. While at the festival you will be sampling over 30+ of the regions finest beers and enjoying some Live music. Beer week is so cool that they offer a Designated Driver ticket so you can get home safely. Location of the festival will be held at America’s Birth place, Independence Mall in the shadow of the Liberty Bell. So start your summer off right and come and have a blast at Philly Beer Week. If you are a fan of Beer you don’t want to miss out. Find out more information and purchase tickets at http://www.phillybeerweek.org. 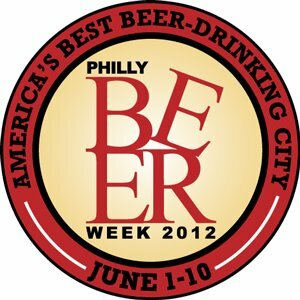 I can’t wait to attend Philly’s Beer Week and to share photos and information with all of you. Next Post Cinco De Mayo With Sammy! Hi! You know…before we moved to Japan I never drank beer before….but now I have a beer every night and am quite enjoying it! Beer weeks are so great! Just enjoyed Portland Beer Week. You’ve piqued my interest in Philly and PA beers. I’ll be talking to my local bottle shop about bringing some in soon.